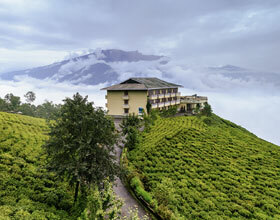 Nestled magnificently in the Shiwalik Hills is the attractive hill town of Kalimpong in the West Bengal state of India. Kalimpong is the 'Land of the Kings'. 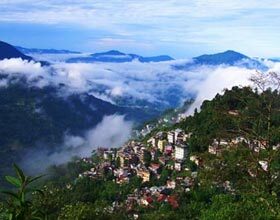 In several methods, Kalimpong is Bengal's "Little England". 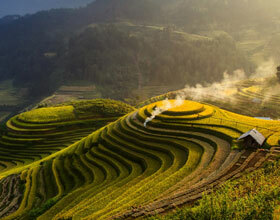 Once a preferred meeting point on a profession route to Tibet, Bhutan, and Nepal, the enchanting hill town is well-known for its Buddhist monasteries, old churches, temples as well as orchid nurseries. 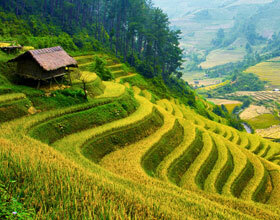 Kalimpong is extremely popular for its wide range of exotic flowers, orchids as well as cactus. There are numerous industrial flower nurseries in Kalimpong which export flowers, orchids as well as cactus to other states and countries. Kalimpong is visited by a lot of Buddhist pilgrims and vacationers every year. 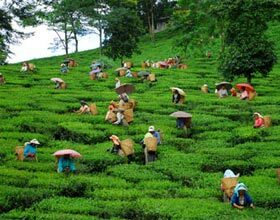 Kalimpong is the largest of the for sub-divisions of the District of Darjeeling in the Darjeeling Gorkha Hill Council, an independent body within the state of West Bengal. 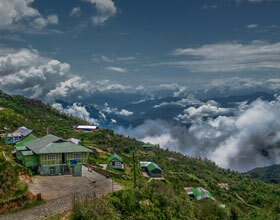 Kalimpong is a tranquil immaculate less-populated hill town between Deolo Hill and also Durpin hills of Darjeeling. Deolo Hillside is the highest point in Kalimpong with an altitude of 1,704 m (5,591 ft) as well as Durpin Hill is about 1,372 m (4,501 ft) from sea level. The weather in kalimpong is really pleasurable throughout the year as it is not too hot during summertime as well as not very cooled in winter months. On bright sunny days, it uses a marvelous view of the Mt. 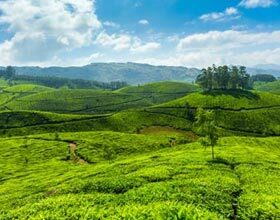 By Air - Bagdogra Airport, situated near Siliguri, is the closest airdrome; about 80 km from Kalimpong the airport is well connected with Delhi, Kolkata as well as Guwahati as well as its major carriers are Indian Airlines, Jet Airways and also Air Deccan. It takes about 3 hours to get to Kalimpong, from Bagdogra Airport terminal. By Rail - The closest railhead for getting to Kalimpong goes to New Jalpaiguri, which is around 77 km away. Located on the outskirts of Siliguri, the station is gotten in touch with mostly all significant cities of the country. Lots of important trains network between New Jalpaiguri, Kolkata (Howrah as well as Sealdah) and Delhi. By Road - Siliguri works as the entrance to the northeastern regions in India. There are regular bus solutions to Kalimpong from Siliguri. Silguri is, in turn, well connected by road to Kolkata, Guwahati, and Patna. Apart from this, there are internal bus solutions that connect Kalimpong to Gangtok and also Darjeeling. Want Us To Call Back ? I authorize Swan Tours & its representatives to Call , SMS & Email me with reference to my Travel Enquiry. This consent will override any registration for DNC / NDNC. Address :- Flat No. 6, Shanker Market, 2nd Floor, Above Shop No.1 Shankar Market, Outer Circle, Opposite M Block, Connaught Place, Delhi, 110001, India.